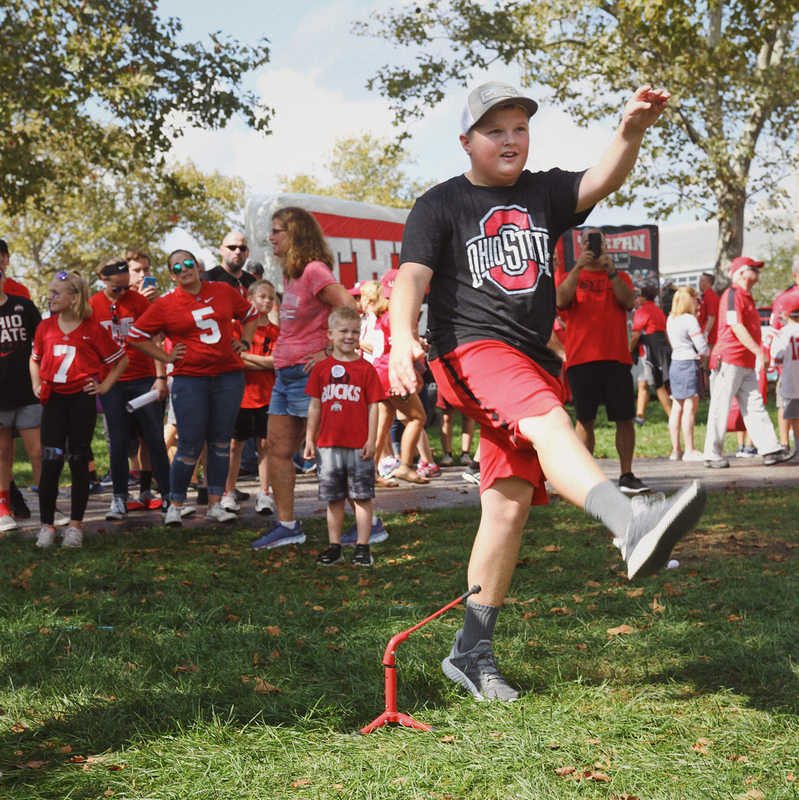 In order to bring Safelite’s on-field experience to OSU fans and Safelite employees, a field goal kicking simulation was installed at multiple locations during Ohio State Homecoming Weekend. 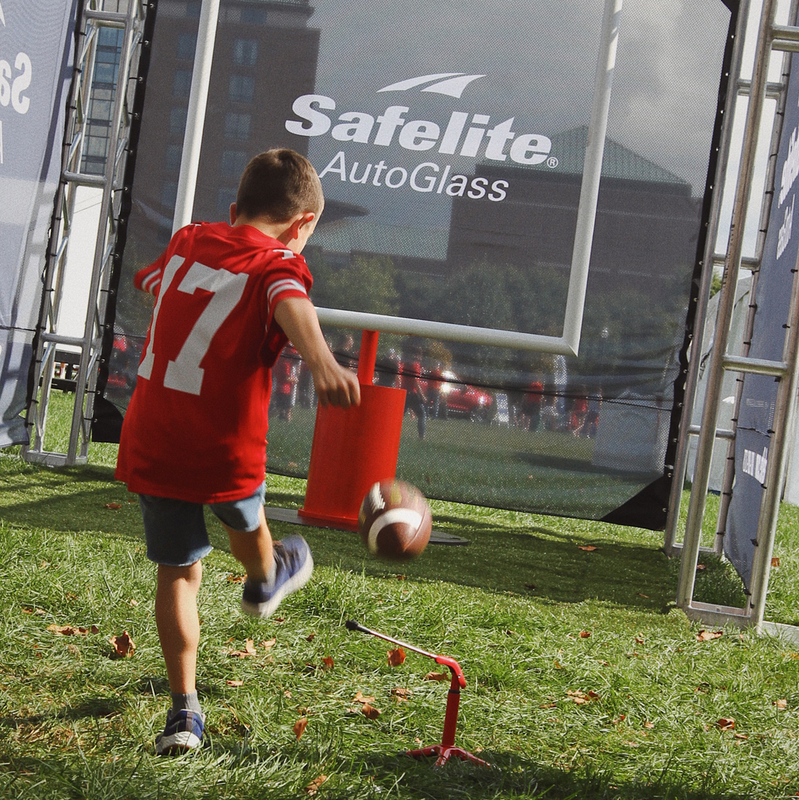 As a sponsor of Ohio State Athletics and the field goal presenting sponsor for football games, Safelite AutoGlass wanted to bring that same on-field experience to Ohio State Buckeye fans. Replicate the Safelite field goal kicking experience in a fun, safe, interesting way so that fans of all ages and skill levels could participate before the game. 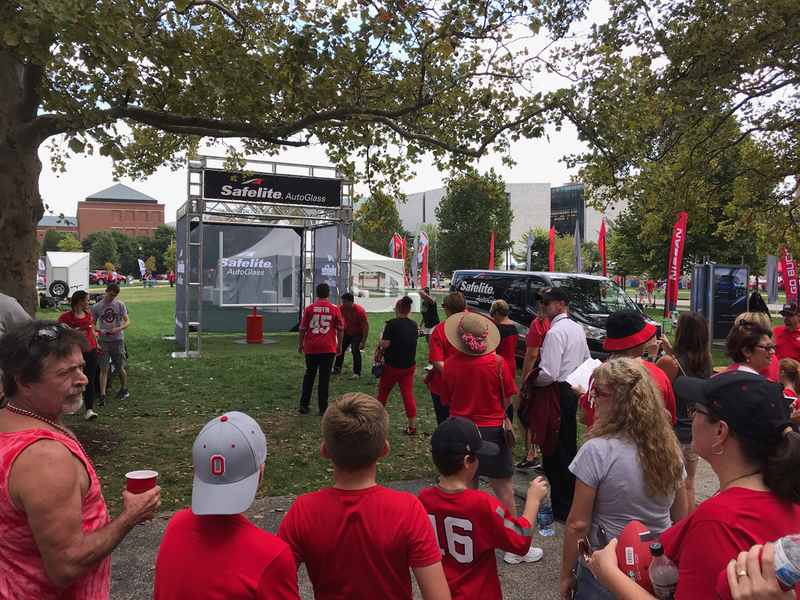 Locations included a Safelite regional office as part of their spirit week celebrations and FanFest at Ohio Stadium before the homecoming game. 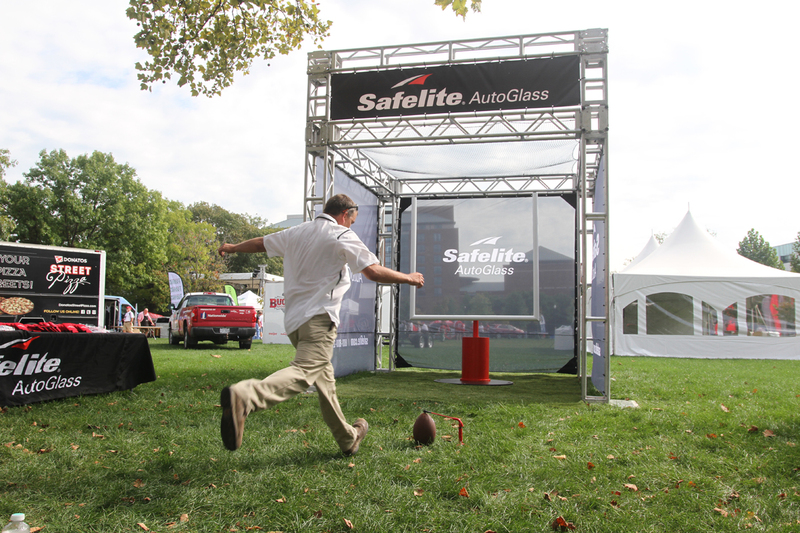 Participants were able to kick a NCAA regulation football into a Safelite football goal post just like their favorite Buckeyes and win Safelite prizes!